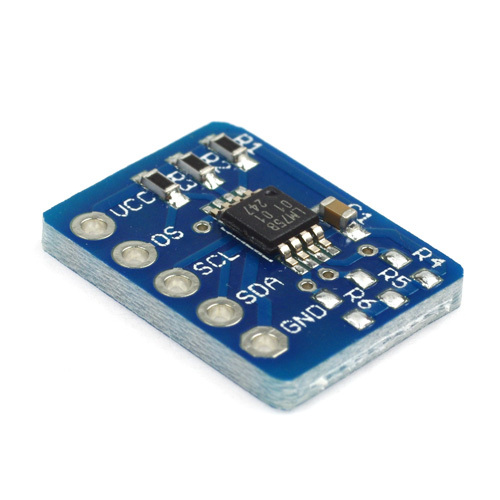 This is an I2C controlled, breadboard friendly breakout board designed for NXP temperature sensor, LM75B. 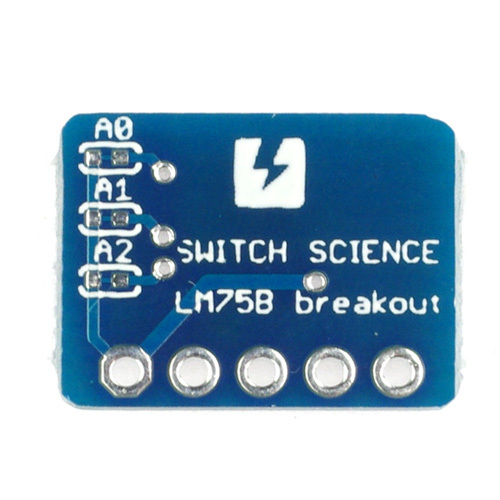 Power supply range is from 2.8 V to 5.5 V.
You can change I²C address by cutting A0, A1, A2 at the back of board and soldering pull-up resistor on surface.The address at the time of shipment is 7 bit, and will be written 1001 000. 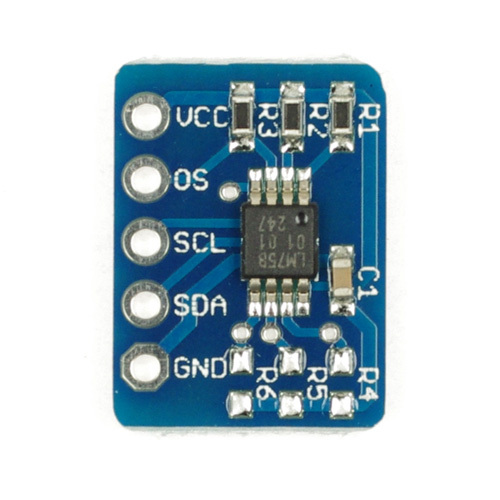 When you have cut the short jumper at the back to change I²C address, you will need to solder chip resistor (1608 type, 10 KΩ) to R4, R5, R6.